The 2017 REBA Summit brought together over 400 energy buyers, suppliers and experts to accelerate renewable energy purchasing. Today, companies are making big moves to power their operations with clean energy. To date, corporate buyers have purchased a global total of 19 GW of renewable energy, enough to power five million average American homes. But navigating the path to renewables is harder than it should be. 17 U.S. states still do not offer easy access to large-scale renewable energy and renewable energy buying is only just emerging as an option in international markets like China and Mexico. Buyers, energy suppliers and experts are coming together to overcome these challenges through the Renewable Energy Buyers Alliance (REBA), a collaboration of WRI with BSR, Rocky Mountain Institute and World Wildlife Fund. The 2017 REBA Summit last week in Santa Clara, California gathered more than 400 representatives from corporations, utilities and developers to discuss ways to accelerate renewable energy purchasing. Here are five trends that emerged. In the U.S., new options such as green tariffs and virtual power purchase agreements (VPPAs) have proven to be successful mechanisms to add renewable energy to the grid. 13 states now offer buyers green tariffs, where utility customers can source up to 100 percent of their electricity from renewable resources through a fixed rate. VPPAs allow buyers to purchase renewable energy outside their local grid – an attractive option for companies seeking flexibility in their renewable energy project locations. But green tariffs and VPPAs were not designed to address concerns for emerging buyers, like customers with smaller and more dispersed customer loads. Nor do these mechanisms address underlying issues for electricity markets, such as saturated regional grids and the management of existing generation. We will need tweaks and entirely new approaches to continue the corporate voluntary transition to clean energy. Author Letha Tawney leads a utility session at the 2017 REBA Summit. Wholesale power prices are at a historic low, driven by simple market economics: in many U.S. locations, energy supply exceeds demand. As long as wholesale prices are lower than the energy charges large customers see on their electricity bills, they will push for better access to that savings. This is fueling interest among very large buyers in exiting utilities and buying power directly on the market. The low wholesale prices also make it difficult to find a competitive VPPA. Finally, the falling wholesale price is pressuring utilities that already have an oversupply of generators and customer demand for new renewables that would add to the supply. The proliferation of energy technology for efficiency, on-site generation, demand management and storage means customers large and small have more complicated choices to make in their energy buying strategy. These new technologies often have implications for the grid, as Microsoft and Black Hills Energy found in Wyoming. A more robust conversation with the utility is needed to make the most of those assets and how they interact with the falling cost of energy. 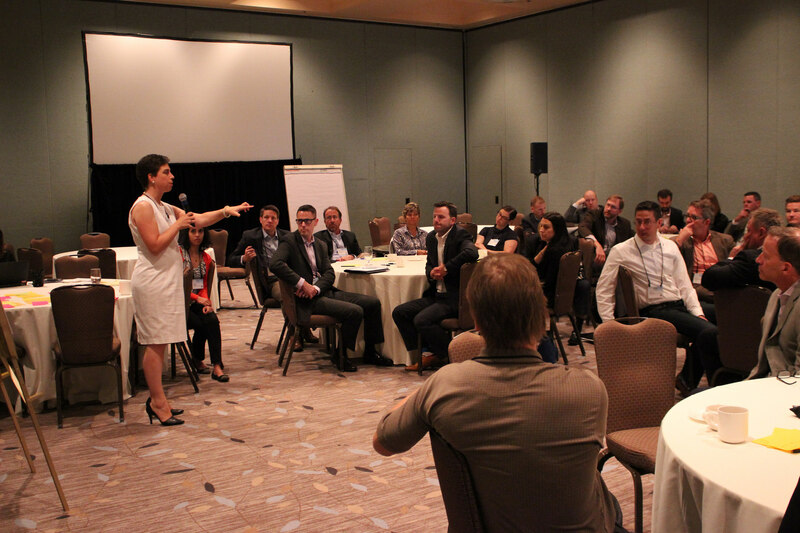 Utilities attending the REBA Summit were eager for more extensive conversations around needs and opportunities. Addressing the concerns of public utility commissions charged with protecting all consumers and approving new utility products will be essential to realizing the potential. Over the next two years, WRI will lead a working group of utilities and customers to explore opportunities for utility-scale renewable energy products and their effective integration into the grid. Many large buyers want better options for renewable energy purchasing in countries where they manufacture products or operate stores. China made progress this year by establishing a renewable energy certificates (RECs) market and companies are eager to collaborate with relevant government agencies to continue to improve the design of this program. India has ambitious national goals for solar and wind power, but policy varies dramatically state by state, and the buying process can be cumbersome. Adobe’s new deal to power its Bangalore office with solar power took over a year to complete. Many buyers are in a “wait and see” mode, hoping for clarity and a more mature market. Collaboration through large buyer groups like WRI and CII’s Green Power Market Development Group in India and the GECCO in China will be essential to address these concerns. WRI-led buyers groups in Mexico and Vietnam will work with industry associations, utilities and governments over the next year to overcome barriers. As REBA Summit closed, Facebook’s sustainability director, Bill Weihl, shared his ambition for the alliance to grow tenfold in the next three years. For the small group of non-profits that launched REBA in 2016, it’s a daunting but welcome challenge as we reach for our goal of 60 GW of new corporate renewable energy by 2025. To reach scale, we need more buyers. That means drawing more companies and offering better resources to inform their decisions. Large-scale public energy buyers like universities, hospitals and municipal agencies need to be brought into the fold as well. There was much discussion of renewable energy goals for corporate supply chains, which would reach commodity manufacturers that have not been as engaged. In all these cases, large buyer interest in purchasing renewable energy will grow when there is a clear and compelling value proposition: clean energy brings concrete benefits to the bottom line. Weighing Options: How Do You Compare the Costs of Renewable Energy to Traditional Electricity? PODCAST: What's Next for U.S. Renewables?